Is dieting really the best way to lose weight? Dieting is a subject which comes up regularly with clients, usually in the run up to the annual fortnight in the sun – or Christmas / New Year. The conversation tends to follow the same pattern – and one you’ll probably recognise too. It starts off with them saying that they need to lose some weight. Or have been told that they should, often by a well meaning (!) friend or family member. And how bad they feel about their body. A long list follows of all the bits they don’t like. Tummy. Thighs. Bum. Now that they’re completely miserable – and feeling bad about themselves – the focus switches to the diet itself. That they don’t really want to go on a diet and miss out on all the things they like eating. What hard work it’s going to be BUT a little pain now is worth it for the end result. At which time they can then go back to their old ways – ignoring the fact that these are what caused the issue in the first place – and start eating all the things they like again. Oh, and finally, all this misery will start “tomorrow” or some other date in the future, so that they can have a pre diet binge before they start (!). If you stand back and look at this “logic” for a moment, is it any surprise that so few dieters are successful at reaching their goal? Let alone maintaining the weight loss in the long term. By somehow doing something they really don’t want to – and making themselves miserable in the process – it’ll miraculously produce the desired result. And this will make them happy at some unspecified point in the future. If this isn’t enough to cause you to have a rethink about an easier – and less painful – approach, try this. Some fascinating research dating back to the 1940’s questioned the whole calorie controlled approach to dieting. To start with, not all calories are not the same. Confused? Well let’s go back to basics and explain why. 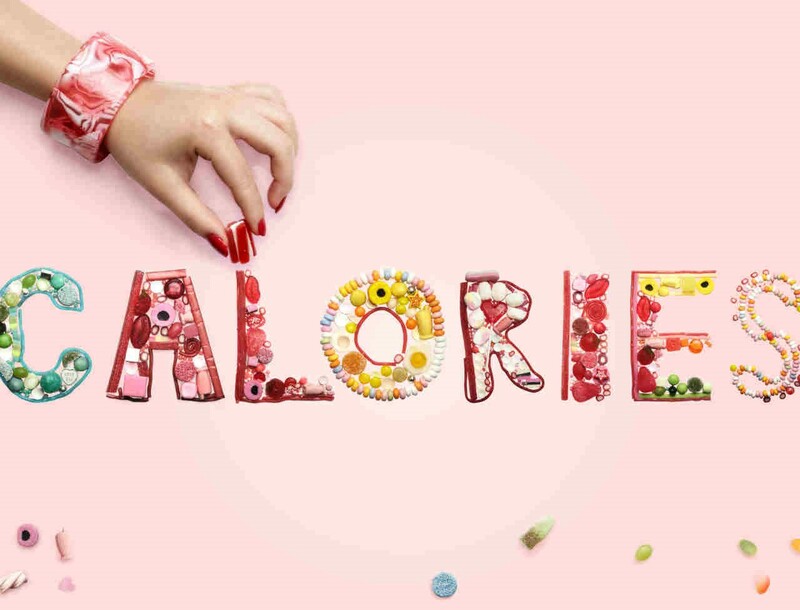 If you cast your mind back to science lessons at school, you may remember that a calorie is a unit of energy. In fact the energy needed to increase the temperature of one gram of water by 1 °C. It’s used to determine the energy content of food and so is the basis of any diet. Now comes the interesting bit, which most people have never considered. What about the energy needed to physically break down the food, so making its available to the body? Known as the “thermic effect” it varies depending on whether the food is predominately a protein, carbohydrate or fat. Let’s take protein as an example, with a thermic effect of 25 to 30%. This means that 25 to 30% of the calories making up the protein are needed to break it down and make it available for the body. In other words, only 70 to 75% of the calories from protein are made available to the body, with the remainder needed to physically digest it. By contrast, the thermic effect of carbohydrates is 6 to 8%. As is immediately obvious, looking at the thermic effects of the food itself offers a huge advantage to anyone wanting to lose weight. It shows the net effect of eating a particular food and so gives a much more accurate picture than simply looking at calories alone. It may also explain why the once popular “high carb, low fat” diets didn’t tend to give the desired results. And, high protein diets produce better results. It may also provide another piece in the obesity jigsaw, with so many people’s diets being high in carbs and low in protein. However, we need to go further and look at the basic tenet underpinning all diets. This is that if you consume fewer calories each day than your body needs to function, then you’ll lose weight. Do this for a period of time and you’ll gradually lose the weight you desire. However, whichever diet you follow, this doesn’t seem to happen in practice. Most people will lose weight to start with and then plateau, finding it hard to lose any more weight. So why is this? The answer comes from research dating back to the 1940’s. 36 volunteers were put on a restricted diet of 1,600 calories a day plus a walk lasting about 45 minutes. To start with they lost weight as expected, but this gradually decreased over time until they plateau’d and no more weight loss occurred. In line with conventional advice – decreasing calories and increasing exercise – the calories were slowly reduced to 1,000 per day and exercise increased. However this didn’t produce any further weight loss and after 24 weeks the research ended. The interesting bit is what happened next. After only a few weeks all the volunteers had returned to their original weight PLUS about 10%. So what happened here? Well, quite simply, the body’s basic survival instincts weren’t factored in. As always, our bodies are much more intelligent that we would like to believe. Reducing the daily food intake triggers the body’s basic survival instincts. Non essential body functions are limited to match the food available. Ironically, these include thyroid function, which determines the metabolic rate and how fast calories are burnt. Hence weight loss plateau’ing. But, and here’s the rub, once food becomes available again, the body remains in survival mode. Reserves are built up against a possible repetition in the future. Not only is the lost weight regained – often in only a few weeks or months – but more too. Hence the reason for so called “yo yo” dieting. As always, it’s quite simple. It’s about lifestyle and making the right choices every day, rather than dieting and “going without.” Prevention is always better than cure. A whole food balanced diet is not only going to make you feel better – and healthier – but prevent excess weight building up in the first place. In particular, reducing refined carbs and the comfort food it’s easy to fall back on. Biscuits, cake, bread and the like. Alongside this find a form of exercise you enjoy doing, so that you are happy to do it regularly. And, finally, limit the amount of time you spend sitting, which many people now consider as unhealthy as smoking.